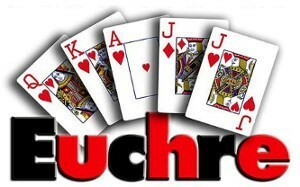 Euchre Night is a fun, social, evening event brought to you in March and November by the Ambassador Committee to help raise money for the Royal Oak Chamber Scholarship Fund. Players must register and pre-pay by Friday, March 8. First, Second & Third Place Cash Prizes and Raffle Prizes too! 1203 S. Main St. Royal Oak. $25.00 Per Person. Includes dinner and tournament with a cash bar.